My Christmas cheer always starts with Boney M’s Christmas Album…yup ‘Mary’s Boy Child’ is the one song that gets that feeling started. By the time we get to ‘Feliz Navidad’, my KitchenAid mixer is out and ready to start the first (of many) batches of perfect, melt-in-your-mouth Shortbread cookies. The sound of the music is quickly muffled by the sound of the mixer busily creaming the butter and in no time, the scent of Christmas fills my house as the first sheet of cookies hits the oven. There are 2 secrets to making the perfect Melt-In-Your-Mouth Shortbread. The first secret is that great shortbread is all about the butter. It is imperative that you use a premium brand of butter. There are lots of butter options out there, and I am the first to buy whatever is on sale, but I never skimp or try to save when it comes to my baking! The 2nd secret to perfect Melt-In-Your-Mouth Shortbread cookies is PATIENCE!! 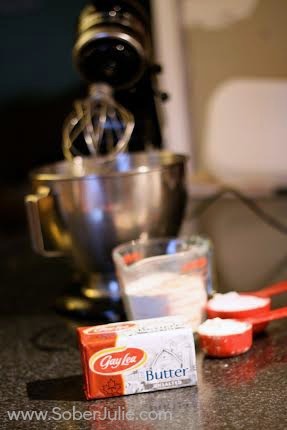 Place 1 cup of room temperature unsalted butter in your mixer. Turn your mixer on high for 10-15 minutes. Your butter will be perfectly creamed and will be white rather than yellow. That’s how you know the timing is right. (While the butter is mixing, preheat your oven to 375 degrees). Once the butter is creamed, add in ½ cup of confectioners’ sugar and ¼ cup of cornstarch. Allow that all to mix together for a minute or two before adding in 1 ½ cups of all purpose white flour. Mix on low for one minute and then on high for 3-4 minutes. 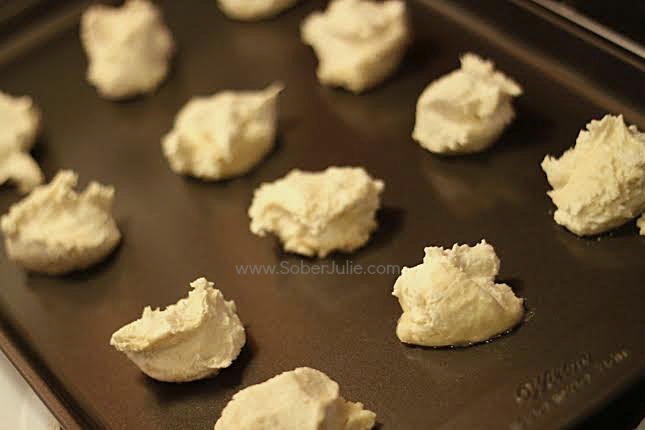 Spoon your cookie dough onto a cookie sheet about an inch apart. If you want people to think you are really fancy, use a piping bag with the biggest star tip to pipe them into swirls or use a small ice cream scoop to get perfect balls of dough. Go put on some Boney M, get that festive feeling and get ready to bake dozens of these! They are a holiday favourite at my house (and they make a great gift in a lovely cookie tin) This perfect Melt-In-Your-Mouth Shortbread is my definition of Simple Perfect Holiday Memories. My family has used this recipe, only doubled, for as long as I can remember, when the cookie presses came o to the market my mother started using one of them for these cookies, we get festive shapes such as stars, fir trees, pointsetta etc make a nice presentation on the cookie platter. 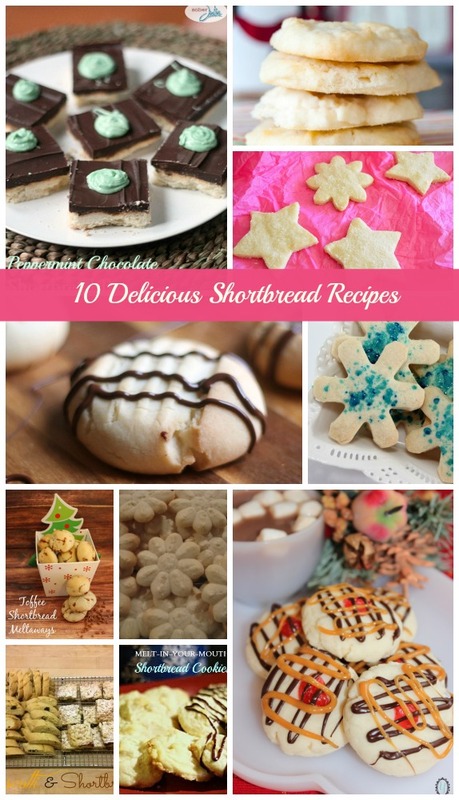 Those shortbread cookies look really good… I would love to do some shortbread cookies this Holiday season! My favourite short bread recipe is the Best of Bridge whipped shortbreat…mmm mm good! My Mom always made cookies about the same as these. We put a piece of candied cherry on top. I use the shortbread recipe my mother and grandmother have always used. 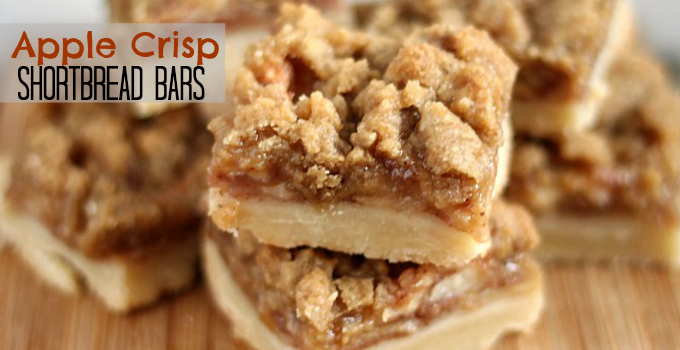 It has the same 4 ingredients that your recipe does but we roll it out and use a cookie cutter. I would love to win a Gay Lea cookbook because you know, if it’s made with butter it’s going to be amazing. So I bet that cookbook is full of really good recipes. Your shortbread look lovely btw. This is my fruit pizza with a shortbread crust. It is AMAZING! Bake in preheated oven for 8 – min, or until browned. Cool. In a large bowl,, beat cream cheese with 1/2 cup sugar and vanilla until light. Spread on cooled crust. Arrange desired fruit on top of filling and chill. I actually don’t have one because I’ve never made shortbread, but I’m thinking of trying this recipe. Looks good! I actually use the recipe you posted, and love it! I don’t but I will try yours. It sound so easy. This look delicious! and easy! I’m going to add these to our holiday baking party. I have several shortbreads that I like but will certainly add this one to my list. I have never made a good recipe…maybe this one will become my fav! Would love the cookbook as I am a cookbook junkie. I don’t have my own recipe, but I will definately be giving your recipe a try this year. I love collecting cookbooks and trying new recipes, my youngest has turned into a great cook my oldest has just started getting interested. we love looking at the recipes. My mom’s best friend, Janie, makes the best shortbread cookies. She always brings us a batch for the holidays. 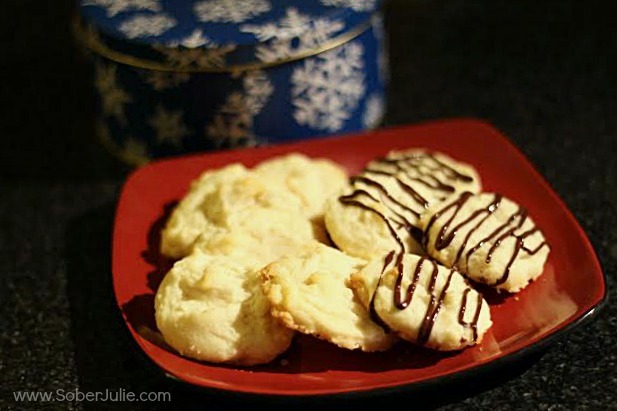 Shortbread is easy and one of those classically delicious recipes not only for the holidays, but any time of the year! Yours look delicious, and melt in your mouth, wow, my auntie had cookie like these too, but I don’t have the recipe, gonna try your recipe! Thanks for sharing! I don’t have a favorite shortbread recipe. 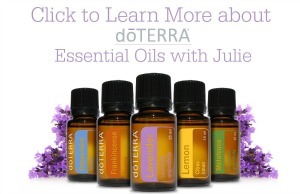 I can’t wait to try your recipe this holiday season! I don’t have a shortbread recipe. similar recipe but i chill the dough, roll mine out and cut into shapes. then the kids decorate them. Winning that mixer would make Christmas baking a real party. ..but I always have those ingredients so maybe I should! This sounds so yummy. I am definitely going to give it a try this year. 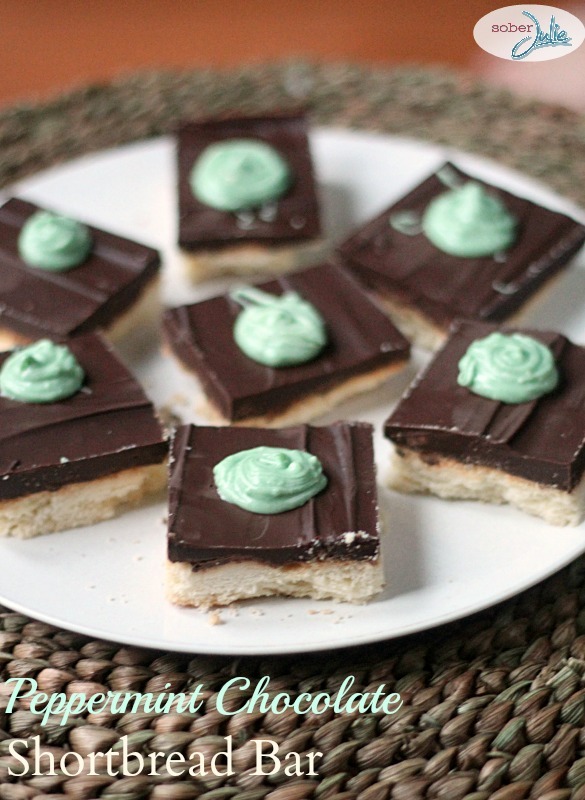 One of my favourite shortbread recipes is for Rocky Mountain Shortbread. Unfortunately I can’t find my recipe right now, but it is basically a shortbread with chopped up Tobblerone bar in it…..so good! shortbread are my hubbies fav , he likes then straight up, I dip mine in orange chocolate yum. i used to have a go to recipe for shortbread but i haven’t made it in years and now im not sure i still have it! I love shortbread and have been using the same recipe for over 45 years, but I am going to try this one because of it’s simplicity and ease to make. Everyone in our family loves homemade short bread so much that its hard to keep in the house. Yes I have a favourite recipe, but my shortbread never taste as good as everyone elses. I’ve actually been looking for a good short bread recipe to try. These look yummy! I just might be making these for Christmas Eve. I’ve never made shortbread before. I think I’ll try your recipe! I make a super delish shortbread. I add chopped up Toblerone bar pieces. The sweet and melt in your mouth taste of traditional shortbread and the pop of chocolate is a win win! My mom makes the shortbreads every year and they are so good! I may give it a whirl and try the recipe here and see how it goes. They look good! Thanks for the recipe, I do not have a good one . Thanks for the tips as well. I’ve never used a mixer to make shortbreads, I always mix by hand. This sounds MUCH smarter! I add Toblerone bars to mine! Can you make these as cut out cookies? The batter seems to be a bit too moist for that. 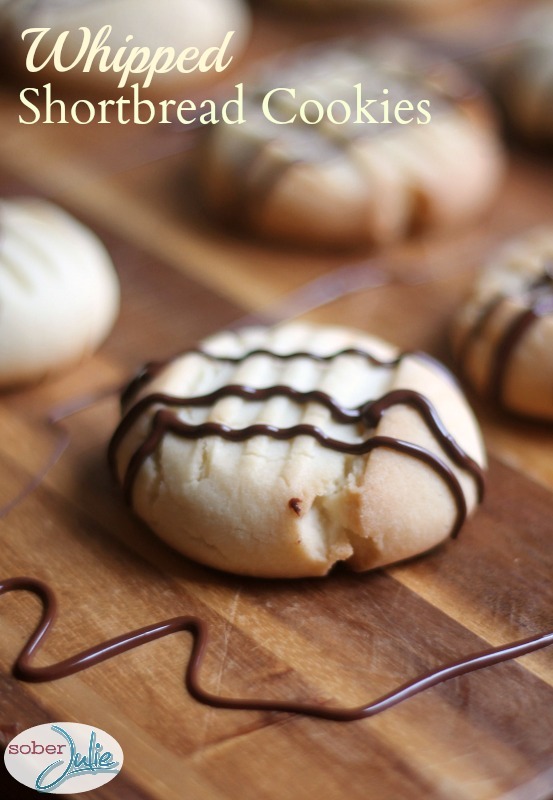 I would love to know how you make the chocolate drizzle on the cookies that is displayed in the pictures. I made these yesterday following your instructions carefully and they are wonderful! Thank you! I put a fresh blueberry once they were out of the oven…sooo good. Would this recipe do well as a base for lemon bars or is it too delicate? Absolutely love,love,love this recipe!!! Cookies truly melt in your mouth and taste like you spent a long time preparing them yet they are so fast to whip up!!!! I’m sure they’d make killer best sellers at a bake sale!!!! I’m wondering how long the cookies will stay good in a tin? OMG!I just made these! Excellent recipe, instructions and tips. Delectably divine! The only difference was that I was multitasking as a result I had to put the batter in the fridge – about 5 mins or so- before scoping onto the baking sheet -, also.. I added a 1/4 tsp almond extract -. Well. I haven’t got a mixer anymore but the battery for my cordless drill is charged. Let’s see if I can make shortbread! I’m not sure these melt in your mouth, it’s more like they turn to a fine powder in your mouth. I followed this recipe exactly, it’s not that these cookies were bad, they are definitely lacking something from flavor to texture. I just made these cookies and oh my gosh!!! They are sooooooo delicious! Whatever you do once you take them out the oven, make sure you follow the instructions and “Let Them Completely Cool” before removing them from the sheet pan or else they will crumble and fall apart. After mixing the ingredients, I chopped up about 3/4 cup pecans and dried cranberries and added it to the mixture. Once the cookies were cool, i melted some of my favorite Cadbury Milk Chocolate and dipped half of the cookie in it, then let it harden. This is the BEST Shortbread cookie i have ever made! I took your advice and listened to my favorite Boney M and Smokey Robinson. Thank you so much for sharing this recipe!! Merry Christmas and a Happy New Year to all!